ENTER NOW! August 12th - September 8th Elizabeth Warren Book Raffle! 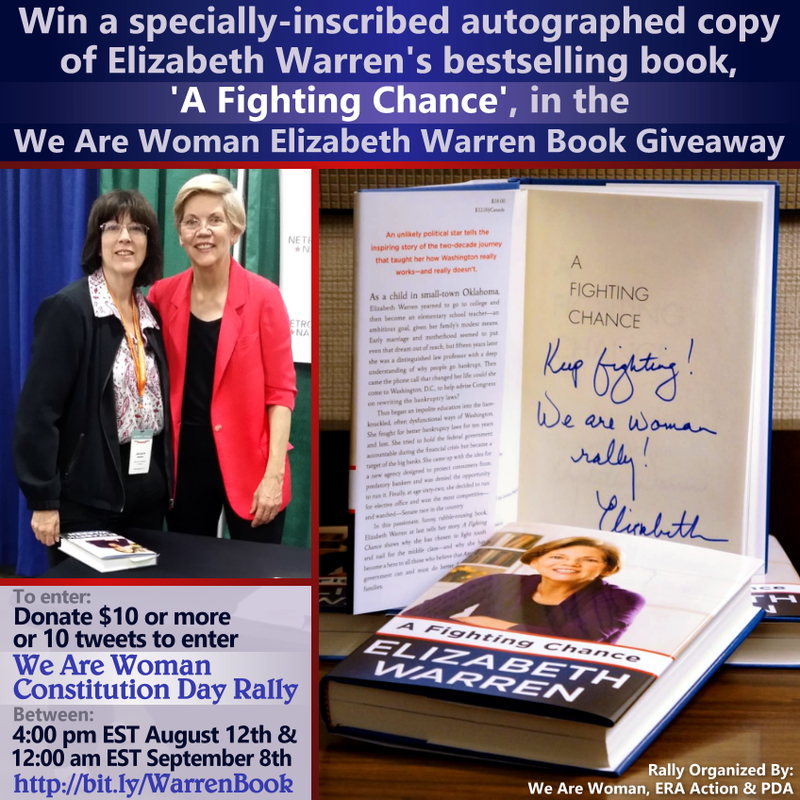 Win a Specially-Inscribed Autographed Copy of the New York Times Bestseller 'A Fighting Chance' by Elizabeth Warren!